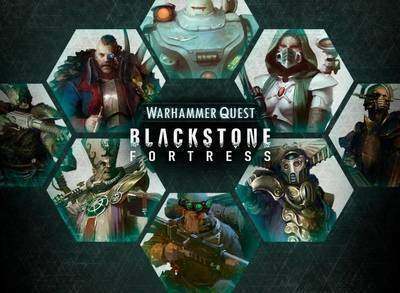 Every game of Blackstone Fortress involves choosing four explorers – so one each for four players, two each for two, and all four for one player in solo play. Janus Draik is a Rogue Trader – one of the bold pioneers tasked with expanding the borders of the Imperium. The Blackstone Fortress is one in a long line of claims this explorer has made for the Imperium – and a source of invaluable archeotech and artefacts for future ventures. Janus is a versatile fighter who excels at mid- and close-range combat. With a solid stat line in all regards, he’s a great pick for a beginner and has a place in pretty much any team of explorers. If you’re not sure who to pick for your first expedition, you can’t go wrong with Janus Draik. 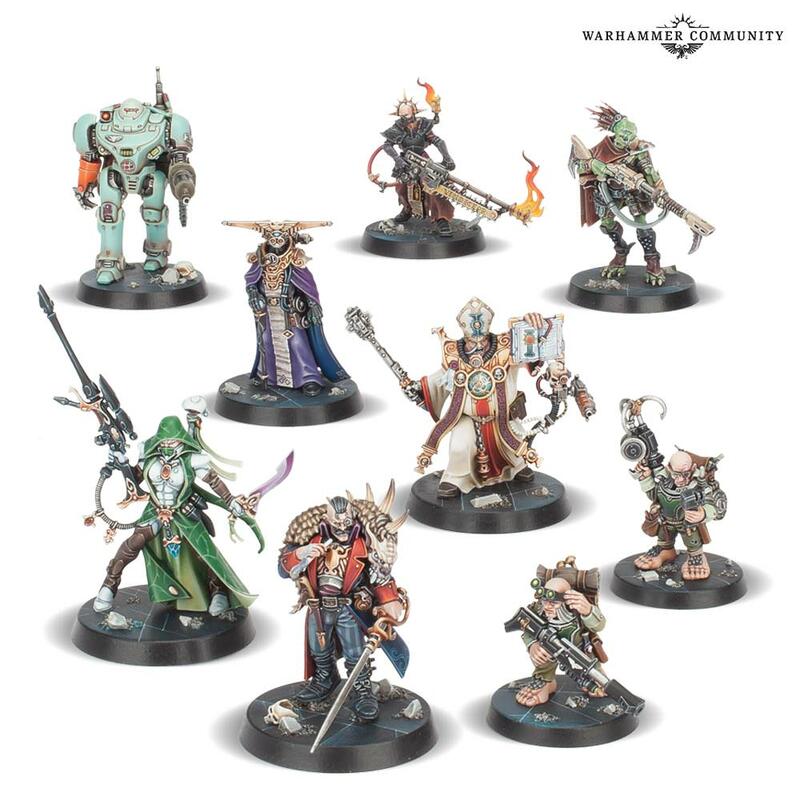 The Blackstone Fortress is filled with treasures of ages past – and the Navigator Houses are interested in getting ahold of some of these. Espern Locarno is a sanctioned mutant tasked with rediscovering cargos which belong to his house by ancient right – as well as technologies to refine the ill-understood processes of warp travel. Espern Locarno is a support explorer, excelling when working as part of a team. While he’s a pretty respectable combatant, the trick with this guy is shielding your allies or using his strange psychic powers to pull enemies into firing lines or onto your close-combat weapons. If you’re looking to support your friends and manipulate your opponents, Espern Locarno is the explorer for you. 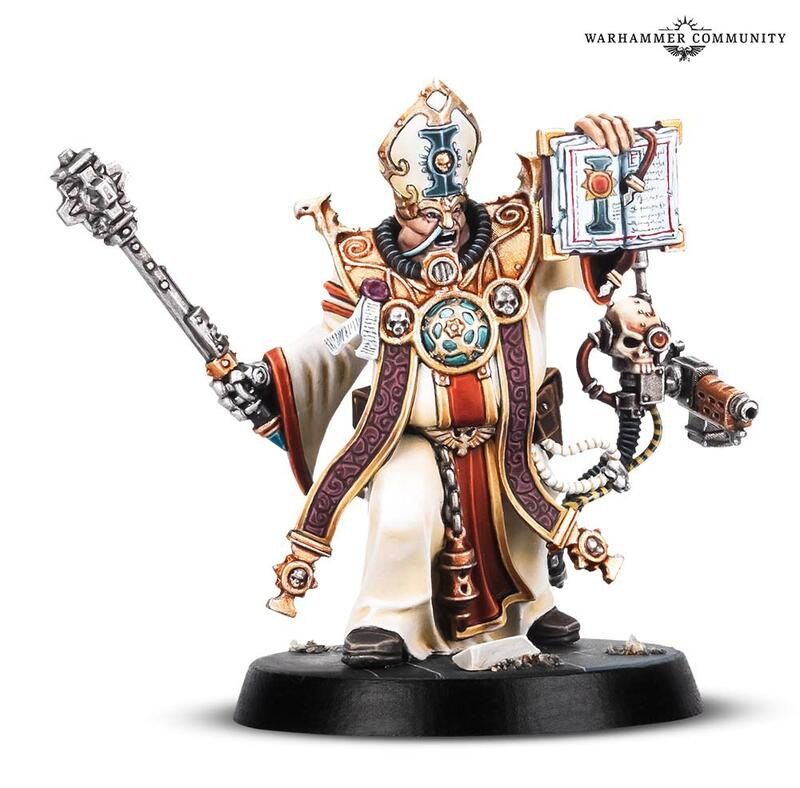 Taddeus is a Ministorum Priest brought to the Blackstone Fortress by a holy vision seen in the burning remains of a particularly impertinent Imperial Navyman. 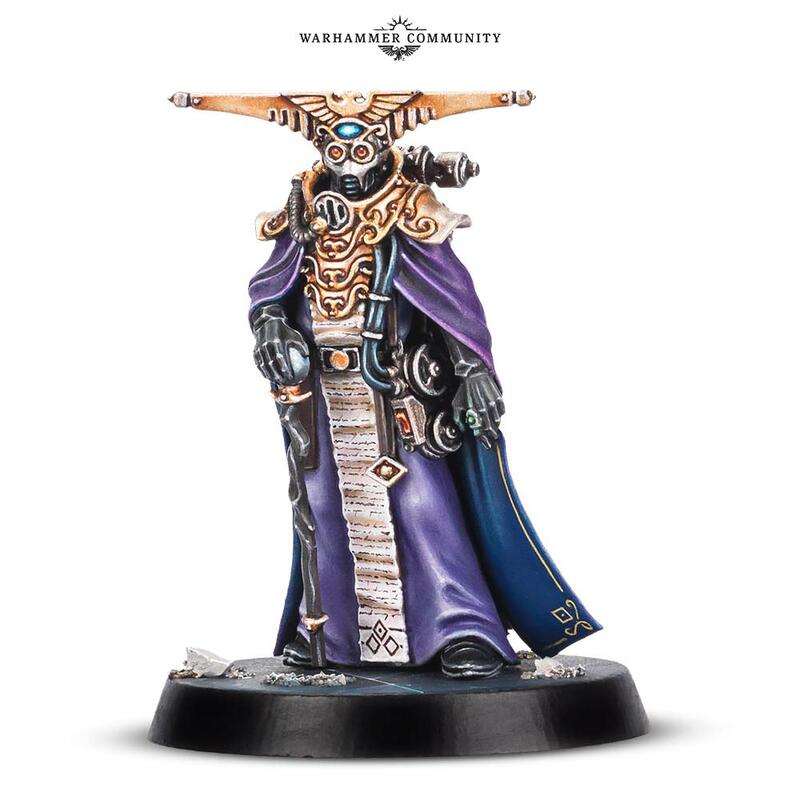 Taddeus hopes to bring the Imperial Cult to Precipice, as well as purging any taint from the Blackstone Fortress itself. As you’d expect from a priest, Taddeus has a range of skills that work to support a party in Blackstone Fortress, including an invaluable healing ability. As you’d expect from a priest in the 41st Millennium, he’s also a brutal front-line brawler, capable of holding his own in close combat. If you’re looking to back your friends up while getting stuck in, Taddeus is a great choice of explorer. Once a hive ganger, Pious Vorne now fights alongside Taddeus the Purifier, having discovered the joys of faith (not to mention burning heretics). 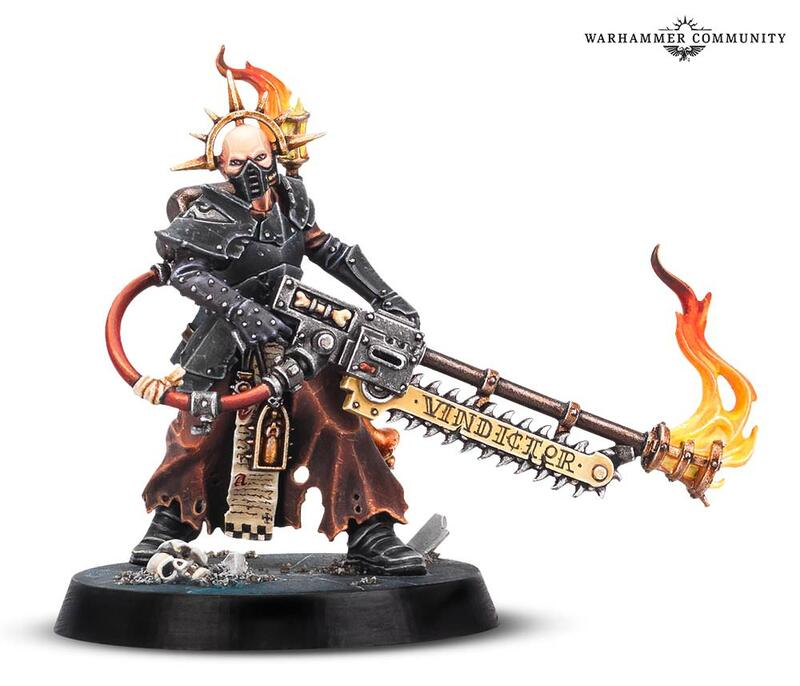 Vorne has a pathological love of incendiary execution and seeks to slay any heretics who see the Blackstone Fortress as a refuge from the Emperor’s light. Vorne is the “glass cannon” of Blackstone Fortress – she may be fragile, but that doesn’t matter if you can set all your enemies on fire before they even touch you. Capable of utterly annihilating anyone who gets close and capable of laying deadly traps, she’s the perfect pick for players looking to win through cunning, mobility and the liberal application of promethium. Hailing originally from the now-shattered Craftworld of Biel-Tan, Amallyn Shadowguide has travelled the webway for centuries. For her, the Blackstone Fortress represents a possible way to save her dying home and to make Biel-Tan whole again through the strange technologies within. Amallyn Shadowguide is a fighter who excels at extremes – in classis Aeldari style! At long range, you’ll be able to snipe your opponents – but should they get close, you’ll be able to make short work of them with her power blade. 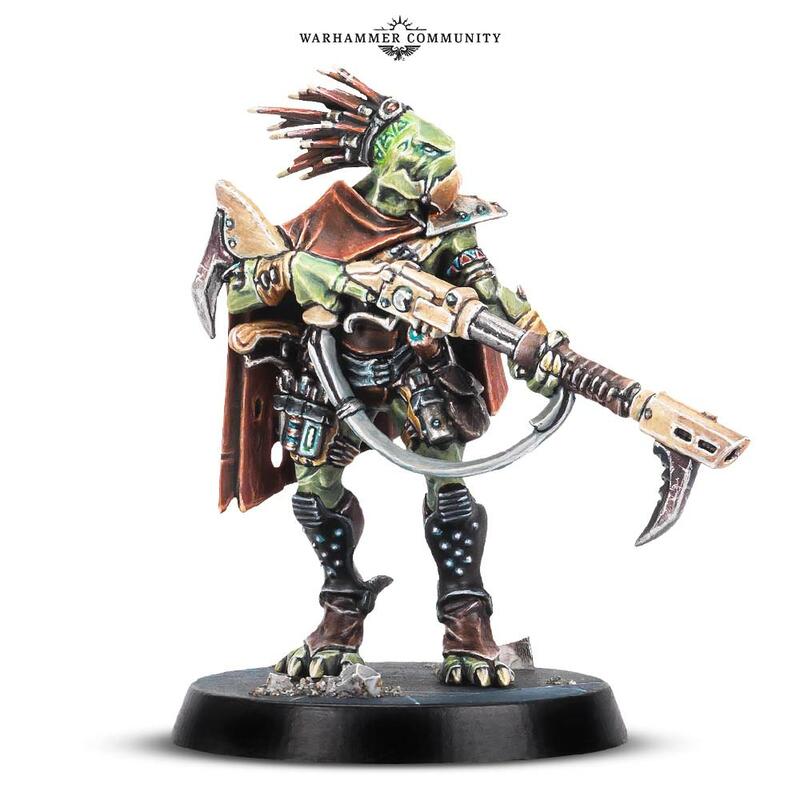 Grekh is a versatile fighter with a powerful ability linked to his Kroot lineage. In games of Blackstone Fortress, players can gather inspiration points – a resource used for all sorts of handy in-game effects, from re-rolls to hunting for treasure. These points are usually generated by slaying enemies – Grekh is more likely to gather them than any other explorer, representing his ability to consume foes and gain their knowledge! Little is known about Rein & Raus. 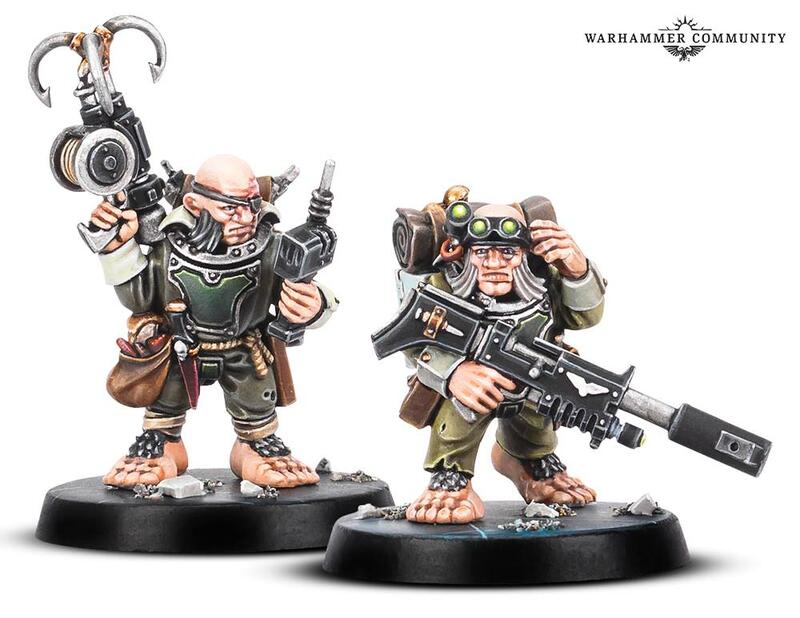 Their wargear would suggest that these sanctioned abhumans once fought with the Astra Militarum, but now they live as renegades. Both are consummate thieves – to them, the Blackstone Fortress represents profit and little else. Rein & Raus are unique among the explorers in that while they fight as a pair – each can operate separately from the other! While Rein tracks down enemies with his scanner, Raus picks them off at range. Though they can be tricky to play, they’re some of the most rewarding explorers in the game. UR-025 is an oddity, even by the standards of Precipice. 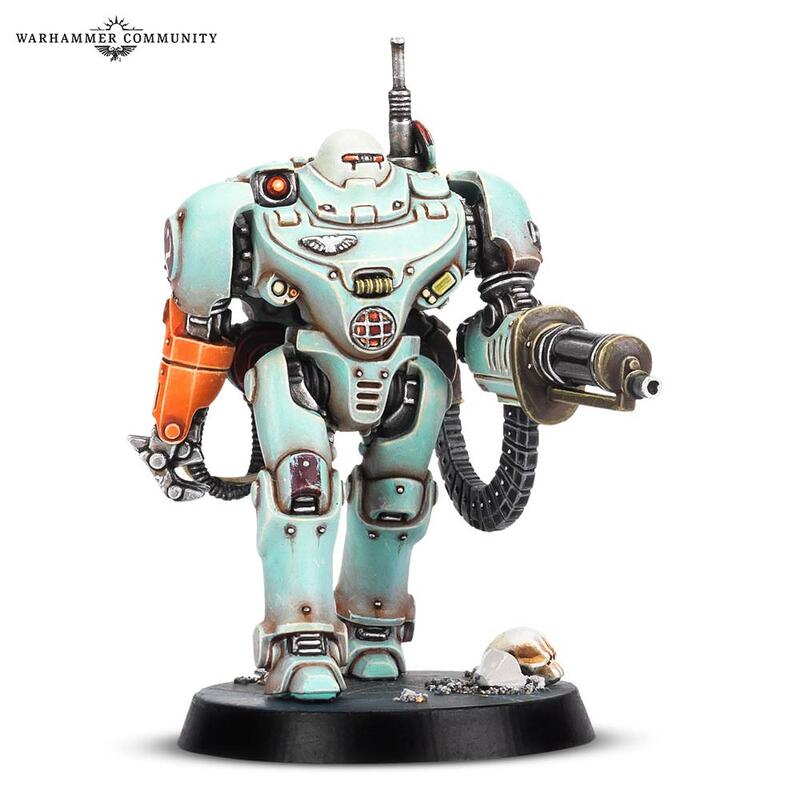 Ostensibly an aged Imperial Robot in the service of a Magos of the Adeptus Mechanicus, it seems there are secrets to UR-205’s past that may be revealed as you play. UR-025 is interested not in the Blackstone Fortress itself, but the seemingly sentient constructs that inhabit it. UR025 is a walking tank – by far the most durable explorer and in the running for the most devastating damage output. 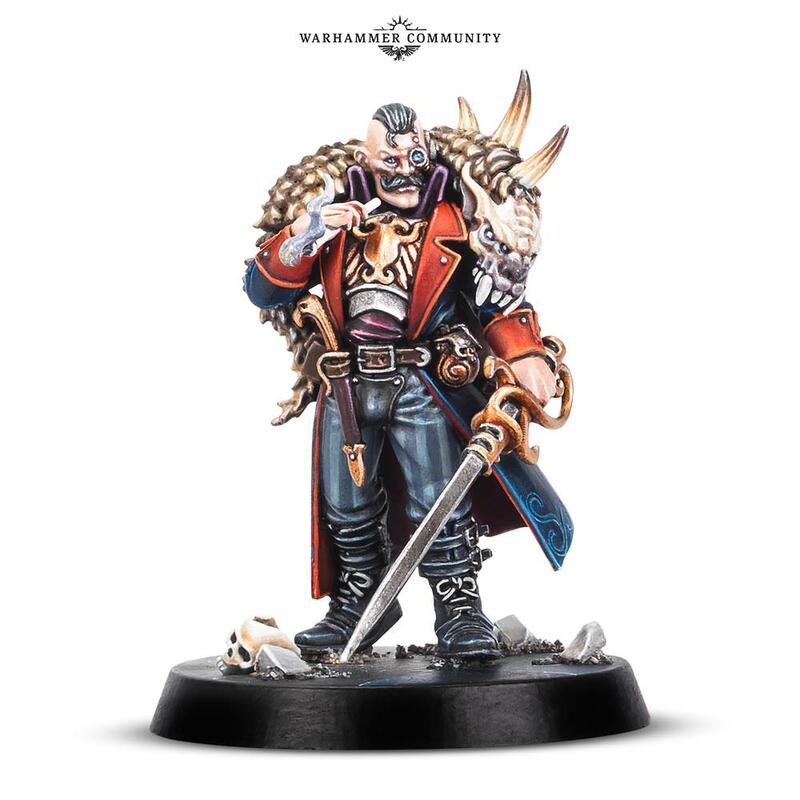 While he’s slow, you’ll be able to weather pretty much anything the Blackstone Fortress throws at you, making him a cracking teammate for more fragile fighters. If you’re looking to lead from the front and wade through the enemy with barely a scratch, UR-025 is your guy/towering death-robot.